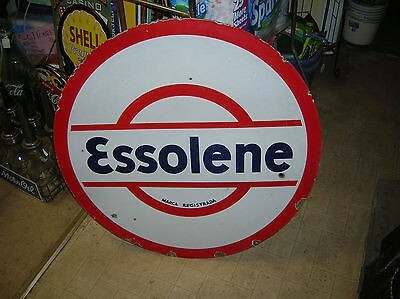 Small red and white sign, this Essolene sign measures 29″ across. The sign looks like a target for target practice. There is little to no text on the sign other than “Essolene” written in navy blue.